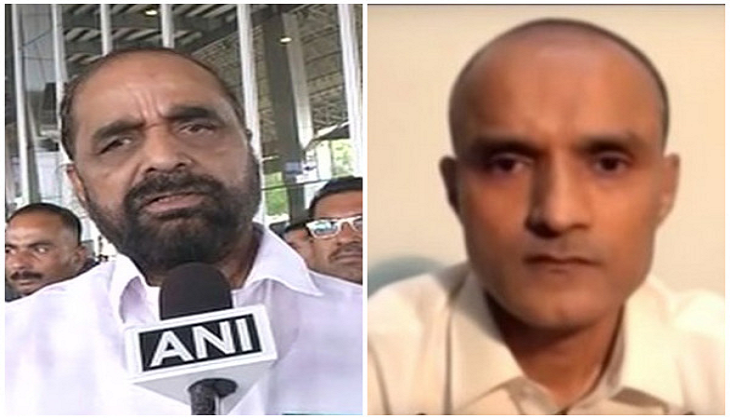 A day after the International Court of Justice stayed the hanging of alleged Indian spy Kulbhushan Jadhav who was sentenced to death by a Pakistani military court, Minister of State (MoS) for home affairs Hansraj Ahir stated that the development signaled a major victory the Prime Minister Narendra Modi-led Government. Ahir said that the stay ordered by the international court has put Pakistan in its place. "This is a big success for India and a big loss for Pakistan. Pakistan doesn't work the legitimate way. It was about to punish an innocent person. This is a big win for the Narendra Modi government," Ahir told ANI. India further said that, in violation of the Vienna Convention, the authorities of Pakistan were denying the right of consular access to Jadhav, despite its repeated requests. It's also pointed out that India learned about the "death sentence against Jadhav from a press release." India had submitted that it had information that Jadhav was "kidnapped from Iran, where he was carrying on business after retiring from the Indian Navy, and was then shown to have been arrested in Baluchistan" on March 3, 2016, and that the Indian authorities were notified of that arrest on March 25, 2016.